This is M13 The Great Hercules Globular Cluster. A dense cluster of 300, 000 stars packed into a space of 145 light years in diameter and at a distance of approx 25,000 light years away. 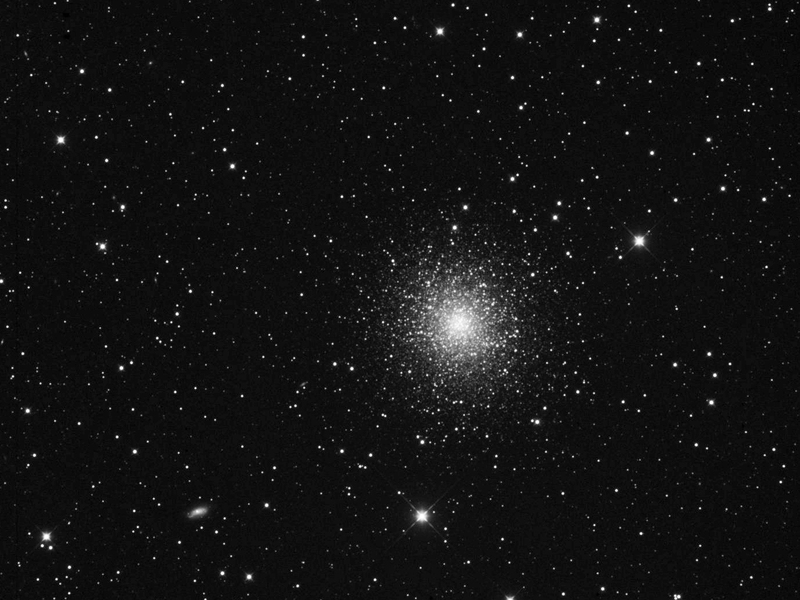 M13 The Great Hercules Globular Cluster. is a beautiful object easily visible in binoculars and telescopes and is found by looking for the keystone in the Hercules constellation. The larger the telescope, the better the view. Globular Clusters are tight groups of hundreds of thousands of very old stars which are gravitationally bound. The stars in this cluster are old, thought to be 12 billion years old.